Facebook and LinkedIn have become powerful allies as more and more advisors take their businesses social, but as these numbers continue to rise it begs the question: What about Twitter? Twitter is often included in conversations about the benefits of social networks for advisors, but it’s almost never the focus. When one advisor recently described it to me as the network non grata, I became intrigued. With more than 288 million monthly users, why have advisors seemingly been turned off by Twitter as a sales channel in comparison to Facebook or LinkedIn? After some probing, I heard loud and clear that Twitter is just too complicated for them to make it work in conjunction with other social efforts. Additionally, some corporate offices tend to worry more about compliance on Twitter. But, I would argue that it doesn’t have to be this way. Facebook activity typically stays relatively true to the spirit of ‘social’ media, and LinkedIn has naturally evolved from a purely professional network of connections into an ecosystem where business-related information and articles are shared. But I view Twitter as just the right blend of both worlds, making it well worth an advisor’s consideration. Twitter is an outstanding place for advisors to turn to keep themselves informed on general industry trends as well as about the key issues their clients face. Twitter serves up a large, engaged audience of people who are likely to see the content advisors ultimately post. 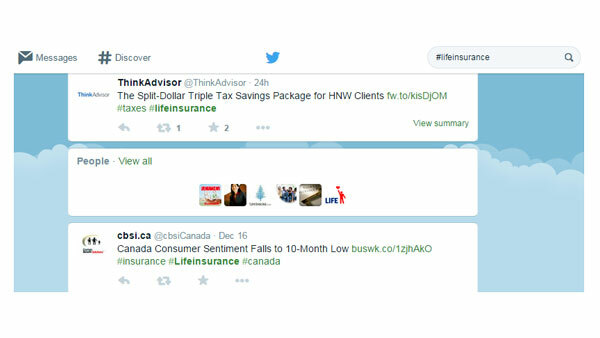 Start by searching and following thought leaders and industry publications: To do this, simply apply a search such as “insurance’ or “#lifeinsurance’ and find recent tweets on that topic. Also, apply a search to find publications relevant to the industry. 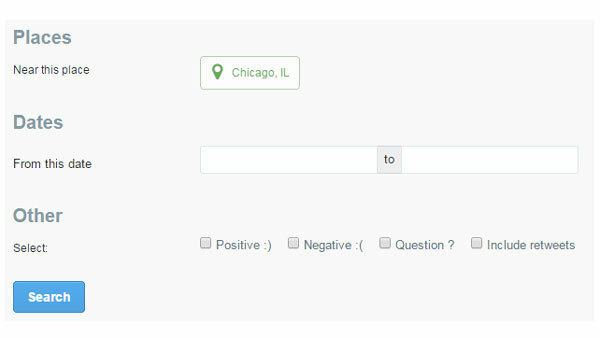 If you get stuck or a search isn’t providing ideal results, Twitter will lend a helping hand with this as well. Click “Advanced Search” on the left side when viewing your search results from a keyword like “#lifeinsurance’. Type or paste “#lifeinsurance” in the “This exact phrase” field. Under “Places” click “add a location” > “search”. When you click “add a location”, it will default to the city in your Twitter bio. You can also change that location to a different city if applicable. Once you get the type of results you are seeking, follow interesting users based on those search results. Follow other financial professionals, your competitors, industry publications, local government agencies, community leaders and industry thought leaders. 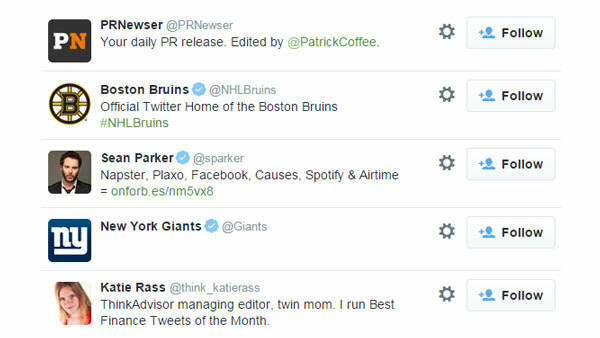 BONUS POINTS – Search for your current clients on Twitter and follow them. If you are connected to them on LinkedIn, their LinkedIn profiles may contain a Twitter handle to make the identification process easier. Using these Twitter listening tips will help you better understand your industry, clients and prospects, giving you a leg up on the competition. Once your comfort level with Twitter increases, you can go from one of the 40% who just listen to one of the 60% who also post regularly on Twitter. In doing so, you can become a Twitter thought leader yourself by sharing insights and deepening the relationships within your now established network. More thoughts on how to write eye-catching, yet compliant, tweets in a future post. Until then, go forth and listen!